Electronic Communication Network (ECN) brokerage is one of the fastest emerging forex brokerages in the forex market. Seeing the opportunity that is available in the marketplace, a number of new ECN brokers are opening new business services. ECN forex brokers create an environment where market makers and traders can place competing bids against each other. The minimum deposit required to be made for starting trading through ECN accounts is often higher than those required in the case of standard forex accounts, but there are a number of significant advantages of working with the best MetaTrader ECN brokers in the U.K. that are regulated by the Financial Conduct Authority (FCA). The benefits include lower spreads and the ability for scalping. With several different attractive options available in the marketplace, choosing an ECN broker can be a difficult task. The fact that many of the brokers that offer standard accounts also offer ECN accounts further compounds the situation. To make it easy for you to decide on which ECN broker is right for your needs, we have provided some information on a few of the top ECN brokers that offer MetaTrader trading platform and are regulated by FCA. This can be the starting point for you in your search for the best ECN forex broker to work with. However, prior to providing these details let us discuss a few aspects related to choosing the best ECN forex broker. How to Choose the Best FCA Regulated MetaTrader ECN Broker in the U.K. Does the broker have a dealing desk? 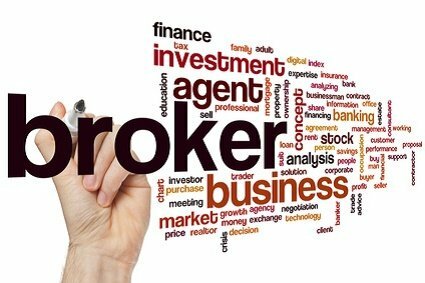 If you find that the broker has used the words ‘dealing desk’ on their website, you can be sure that they are not a true ECN broker. You can also find out by opening a demo or a real account with the broker. In the case of a real ECN broker, there will be no difference in the pips being offered at the time of news releases. Is the spread offered by the broker fixed or variable? You must have realized by now as to what should be the answer for this question. A real ECN Forex broker would never offer fixed spreads. They offer only variable or floating spreads. Will there be negative slippage? The answer to this question is that a true ECN broker will never allow negative slippage. In the case of an ECN broker, you can be confident that the commission fees fixed and the spreads will be tight. On the other hand, a market maker will always trade in the opposite direction to your trade. Other qualities to be considered when choosing an ECN forex broker are liquidity and trade execution. You should choose a broker that guarantees instant order execution at the best possible price. Further, the broker should adequately capitalized and offer a reliable platform. In addition, you should also check the types of accounts, leverage, margin and spreads offered by the brokers under consideration. Initial deposit to be made to start trading, currency options, payment methods, withdrawal conditions and customer support services are some of the factors which should also be taken into account. In 2008, Exness launched its online trading platform. Exness UK, based in London, is regulated by the Financial Conduct Authority in the UK. Tickmill, owned by Tickmill Limited and operated by Tmill UK Limited and Tickmill Ltd., which is a company registered in England and Wales. Tickmill has principal and registered offices in London and Seychelles. Tickmill is under the regulatory control of both Financial operates Conduct Authority in the UK and Financial Services Authority of Seychelles.